Tasha and Lizzie saying hello to each other. Oscar and Lizzie being allowed some free time to play. Tasha sitting nicely for mum as the others are running around. 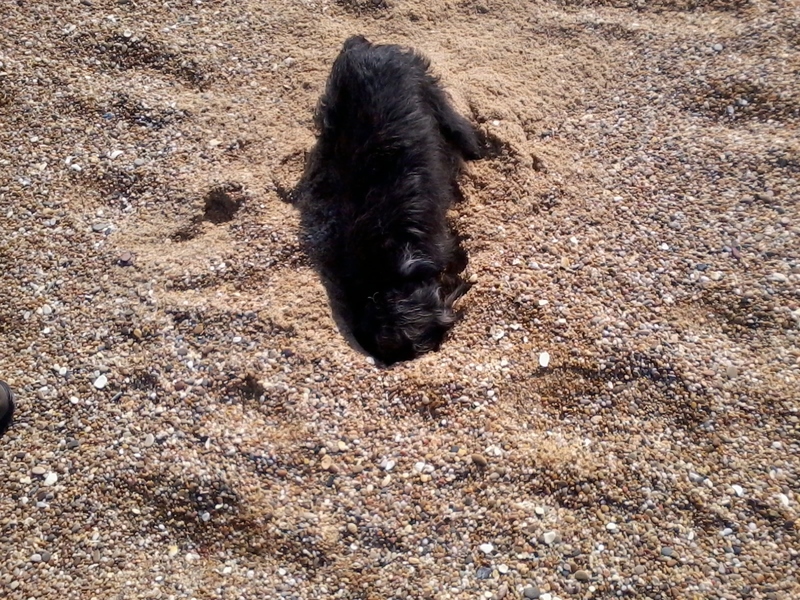 Lizzie having a little digging session. Lizzie performing a wait for dad. Lizzie coming back to dad.